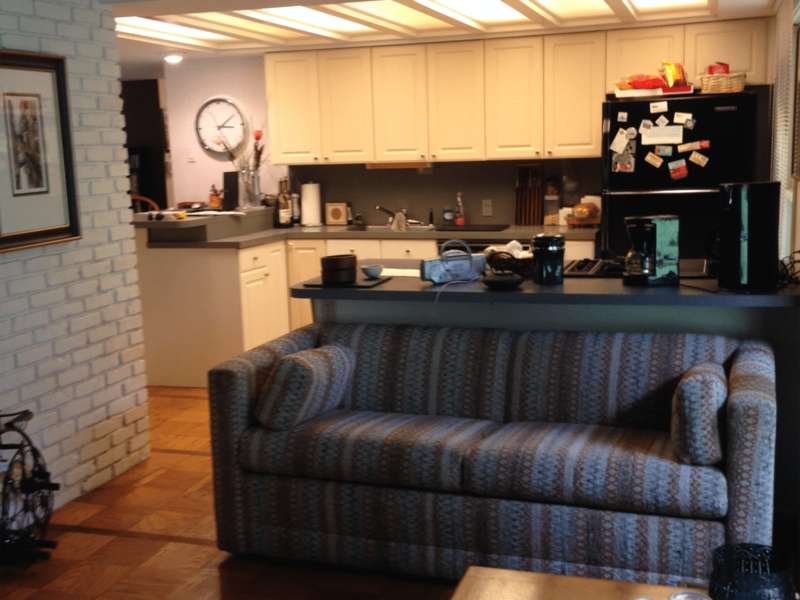 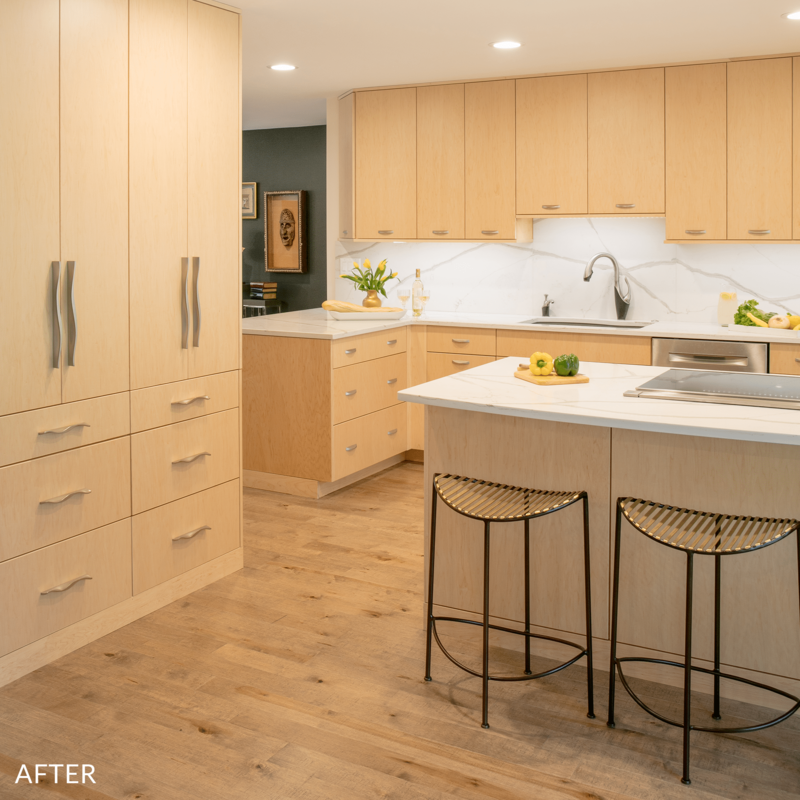 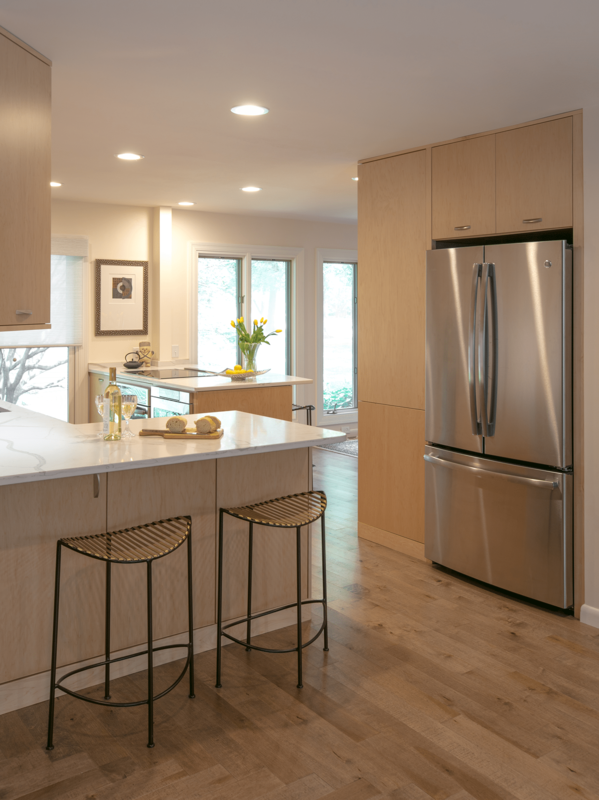 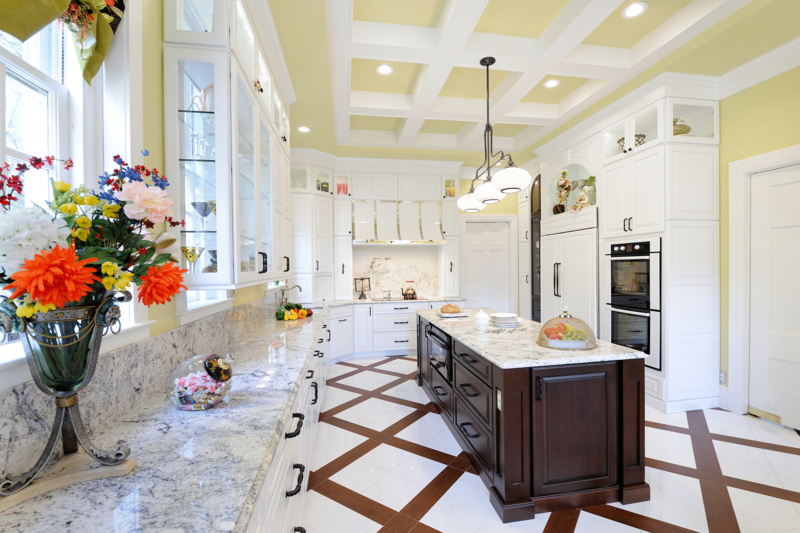 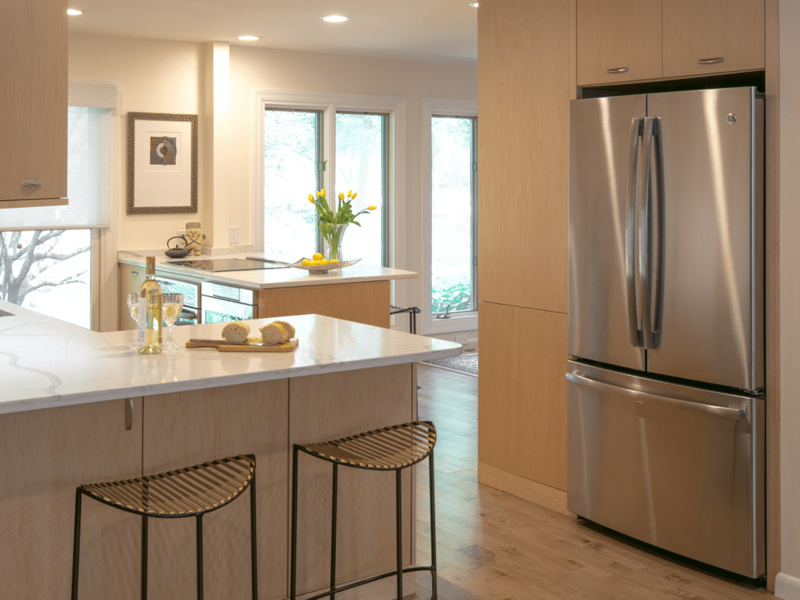 Small but mighty, this contemporary kitchen remodel, resulted in a high-end and striking transformation. 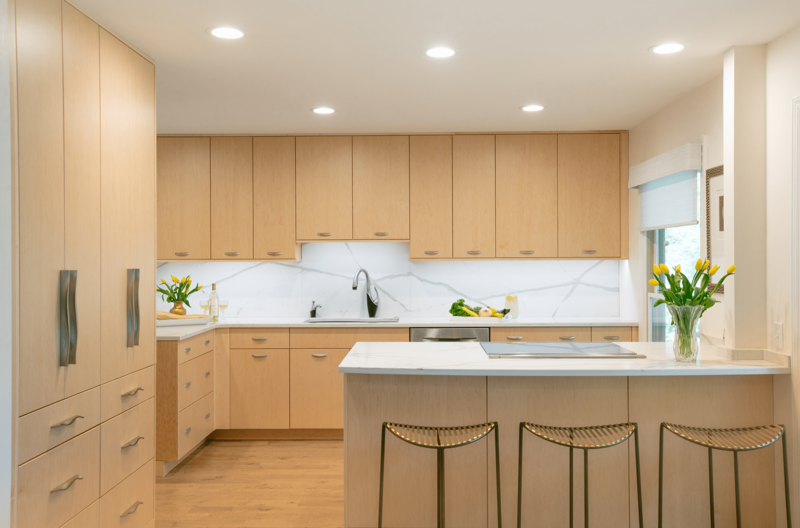 Open to the living room on one side and the dining room on the other, we decided that a minimalist aesthetic would keep the kitchen looking as large as possible and blend well with colors from the adjoining rooms. 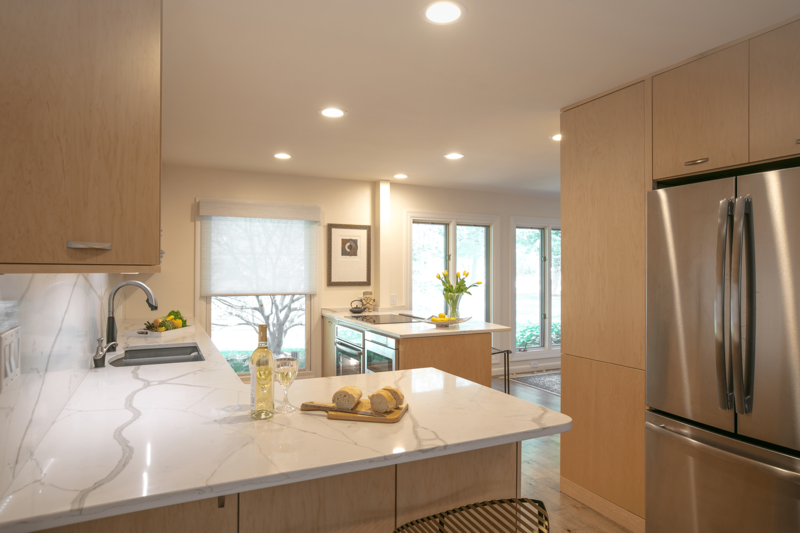 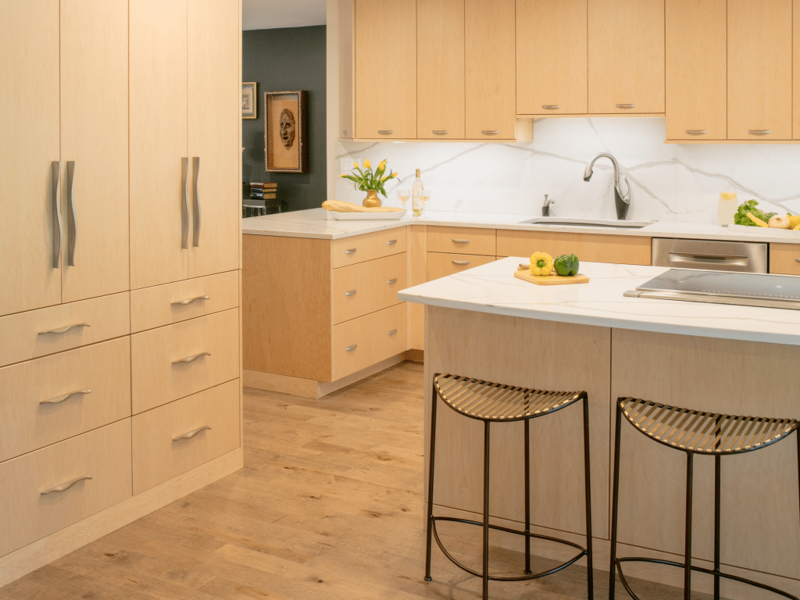 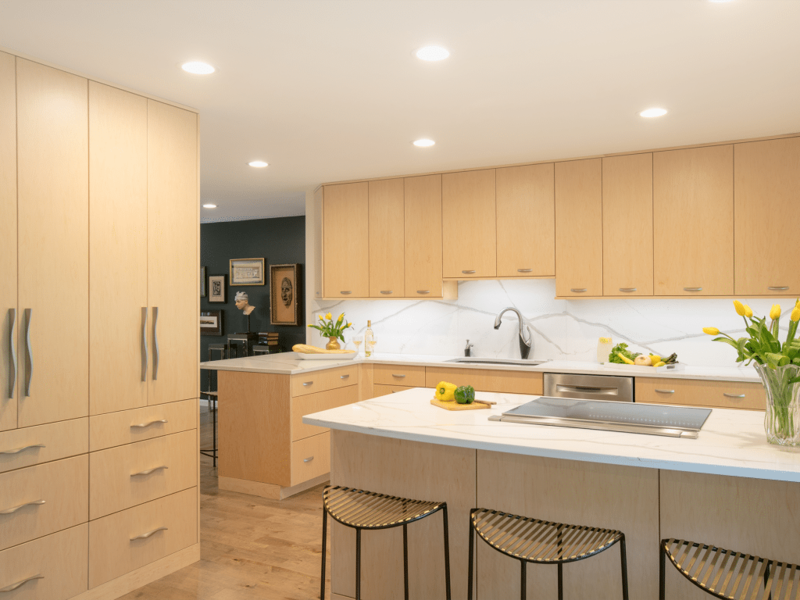 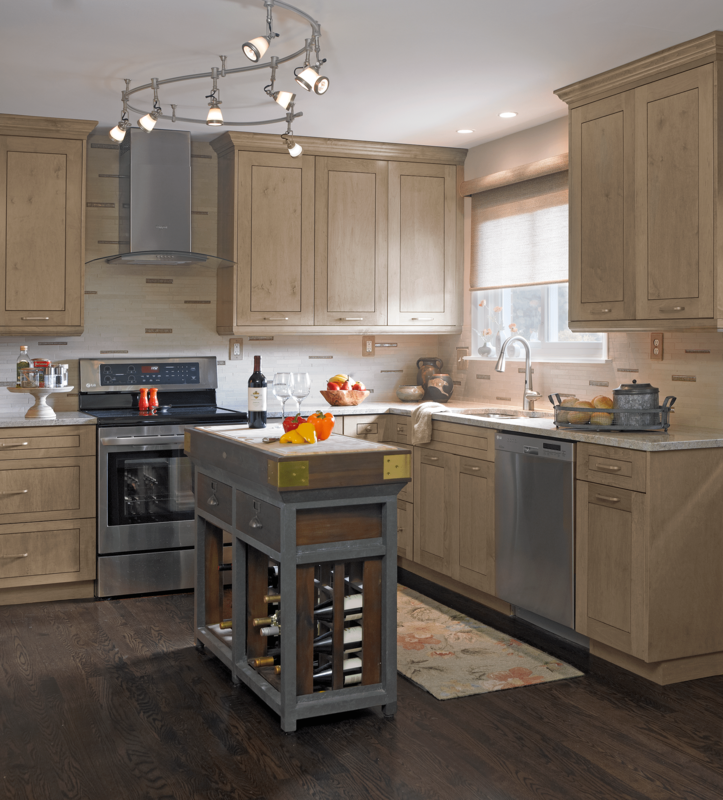 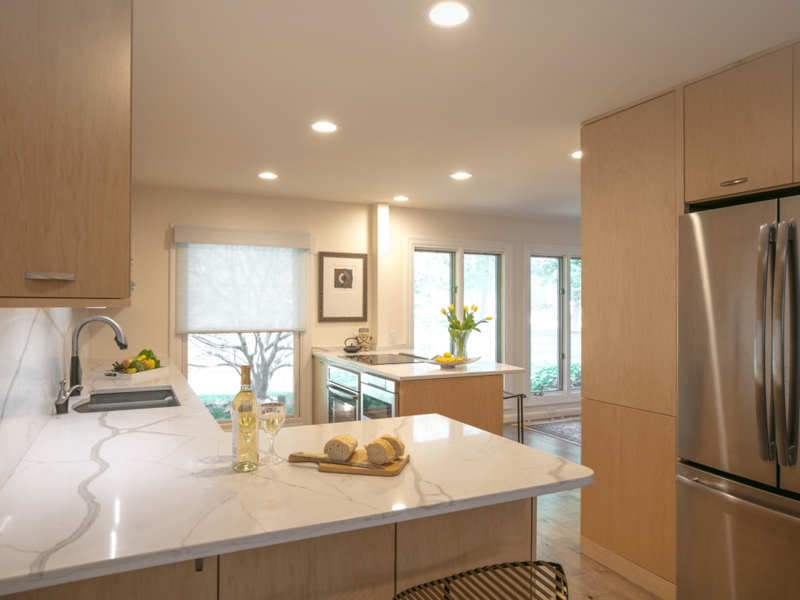 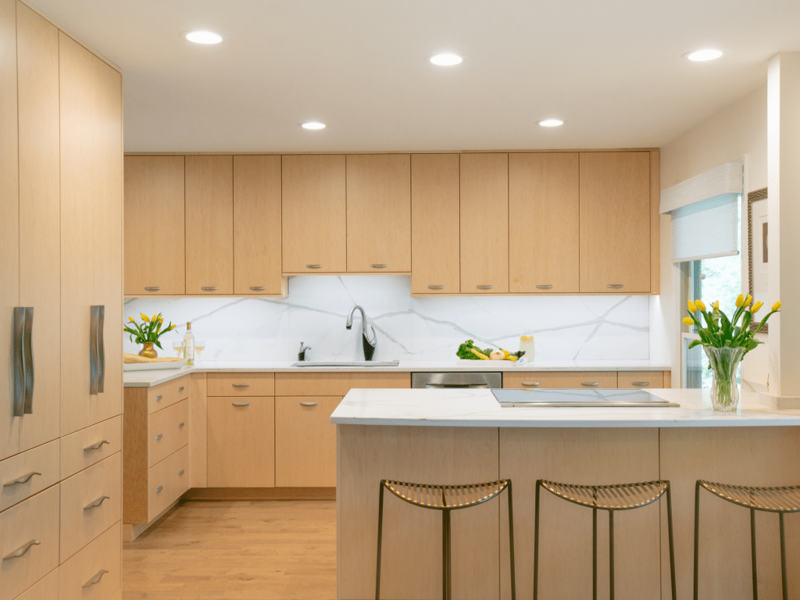 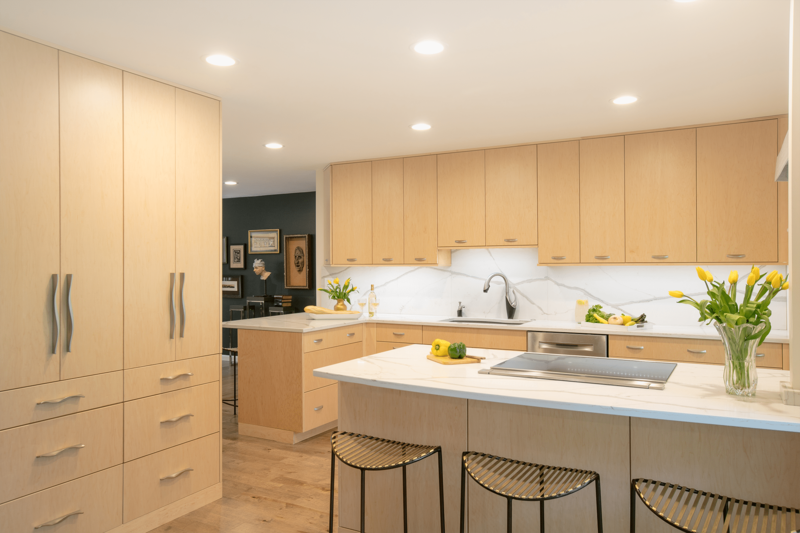 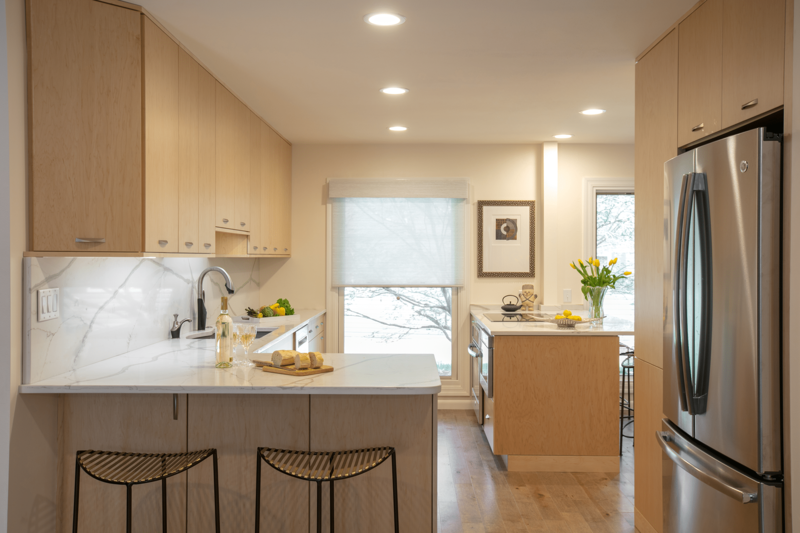 Light cabinetry and floors, quartz counters and backsplash, contemporary stainless hardware and fixtures, and unobtrusive, yet distinctive bar stools help this smaller kitchen live large. 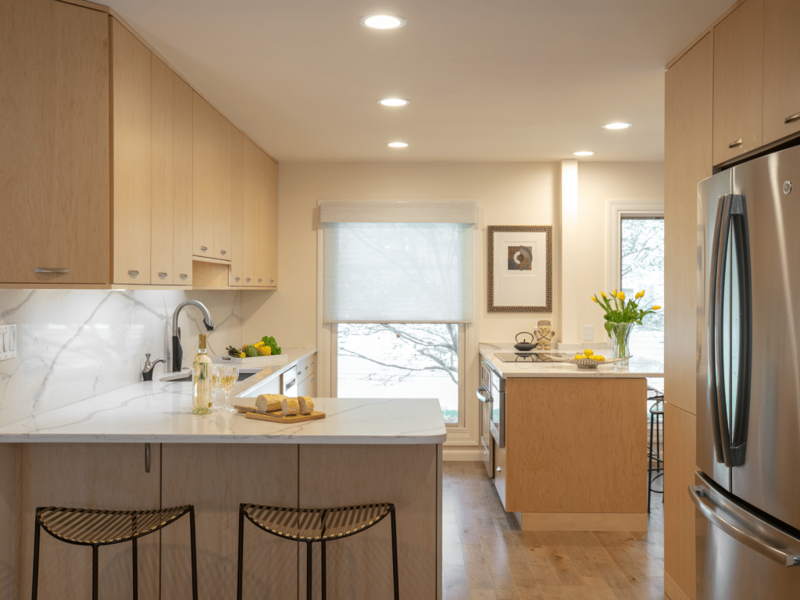 “Marcia and her team not only helped us make educated choices for our kitchen remodel, they helped us navigate a water emergency and the removal of old building materials found behind the walls. 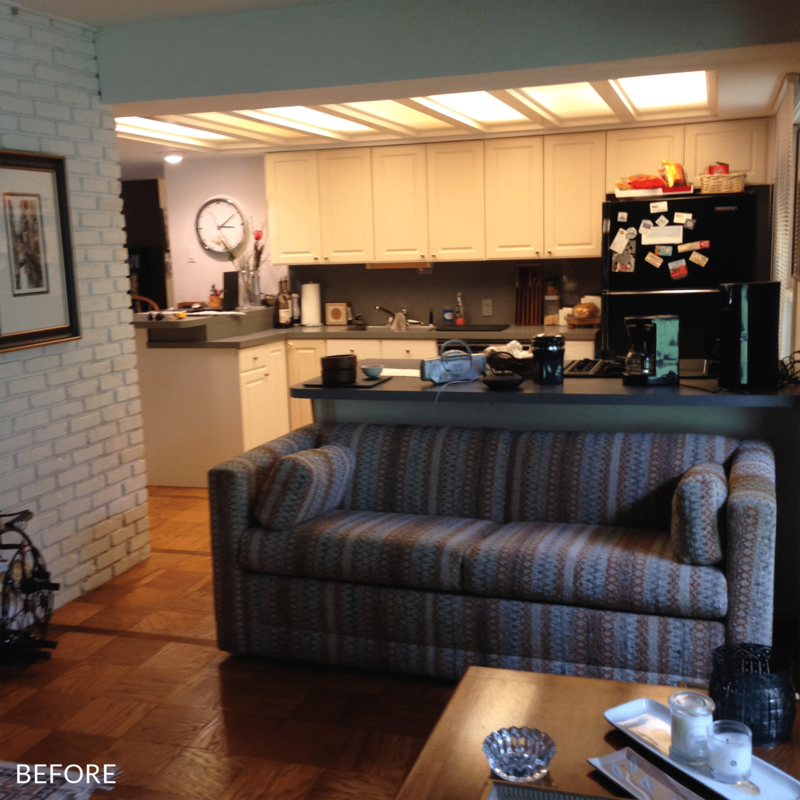 And she and her team kept us smiling and laughing through the whole process.” — L.B.